Making your home a work of art this Christmas? Then do it safely. The festive season is the perfect time to get together and relax with family and friends but it can also be a dangerous time for residential fires. At this time of year many residential fires are caused by overloaded power outlets from decorative lights and novelties, electrical faults, cooking-related activities and unattended candles that can set flammable items such as wall coverings, curtains, furniture, plants and other decorative items on fire. When you start preparing your home for the busy holiday period, the Fire Brigade urges you to take a few minutes to think about these fire safety tips as they can make all the difference in protecting your home and family during the festive season. When you’re setting up fairy lights and other electric decorative ornaments make sure you use only one item per power socket. For maximum safety, if you use a power board, ensure it has both overload protection and earth leakage protect devices incorporated. 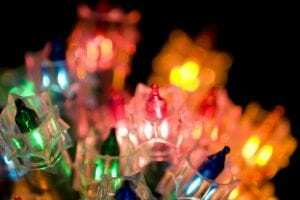 Generally, decorative lights are a throw away item – if they develop a fault they usually can’t be repaired, so buy a new set. Transformers can become faulty with age and cords and plugs can become frayed and broken. An electrician can tell you if older lights, including the transformer, are still safe to use. Check that plugs and leads are in good condition. When buying new lights ensure they have an Australian Standards label. If you want to decorate the outside of your home with fairy lights, check they are suitable for that purpose and follow the installation instructions carefully. Lights can generate heat so don’t leave them on for prolonged periods of time or place them near paper trimmings or decorations. Ensure candles are in a safe, secure position, not left near flammable items such as decorations or wrapping paper and are out of reach of children. If you have young children, it’s advisable to have interconnected smoke alarms so if one goes off they all do. If you have visitors make sure they know how to get out and do the same if you are visiting friends and family. For more information on festive fire safety contact your local fire station.